After a short hiatus, Louisville Basketball will attempt to resume play tonight (it’s up to you Mother Nature) by facing a nationally ranked Notre Dame team that has historically managed, along with the Cards, to create one of the great under-the-radar college basketball rivalries in all of college basketball. Amazingly, seven of the last thirteen meetings between the two schools have gone to at least one overtime – hard to top that. 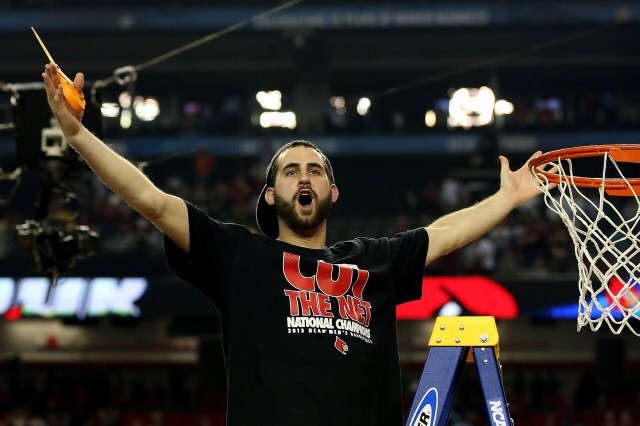 And speaking of overtimes, it was the epic heart breaking 5 overtime loss to Notre Dame in 2013 that would inspire and somehow catapult the Cards into winning out the rest of their regular and post season schedule – ending with a third National Championship. Now, let’s definitely not get too carried away with comparisons here. Will this 2014-15 Louisville squad find a way, regardless of tonight’s outcome, to win it’s second national title in just three years? Well, the odds certainly aren’t great. But if one would have told me with a straight face that UCONN, a team I watched UofL utterly destroy by 30+ points in it’s final regular season home game last season, was going to cut down the nets in 2014 then I would have told that same person that all Kentuckians hate bourbon. So, in summary….. The bottom line for tonight’s tilt is that the Cards will have to do a helluva job defending the perimeter to win. They will also have to find a way to keep the Irish’s leading scorer, Jerian Grant, out of the paint and away from the bucket as his offensive production is vital for Notre Dame. Aside from defense, the Cards will need to emulate the offensive performance they burst out with against Florida State this past Saturday. Essentially, they will need bench production such as the coming out party Anton Gill (4-4 from the 3PT line) decided to have against the Seminoles. Outside the bench, it would serve Louisville well if senior Wayne Blackshear could match last Saturday’s showing by providing a jolt to the offense. And as always, rebounding will be key. UofL can ill afford to give the Irish second and third chances. That simply means that guys outside of Montrezl Harrel, namely Onuaku and Mathiang, need to do their job in corralling the ball off the rim and keeping it up high so that pesky guards cannot rip it away. 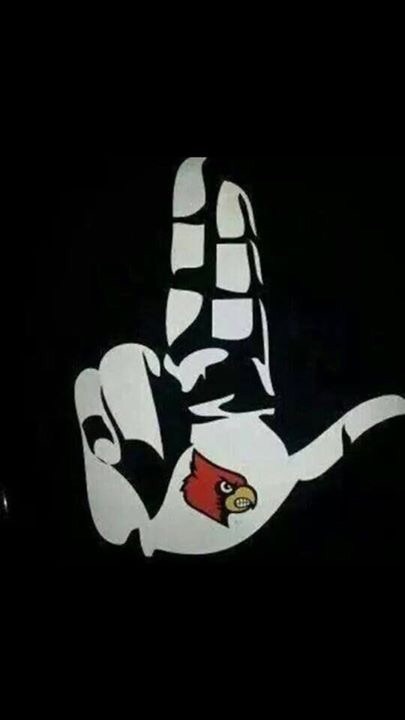 Would a loss tonight be devastating to UofL? Not necessarily, as many of the “experts” seem to think that the Cards are already locked into a NCAA Tournament 4 seed. 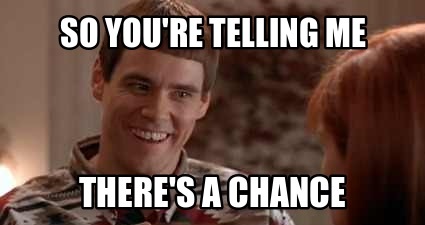 But, that seeding could potentially change and so tonight’s game is mighty big for UofL. A win could provide momentum going into this Saturday’s clash with Virginia. In addition, beating ND could also help the Cards keep pace for solidifying a double bye in their inaugural ACC Tournament next week in Greensboro. My forecast tells me that tonight’s game will be intense with a slight chance of drama. 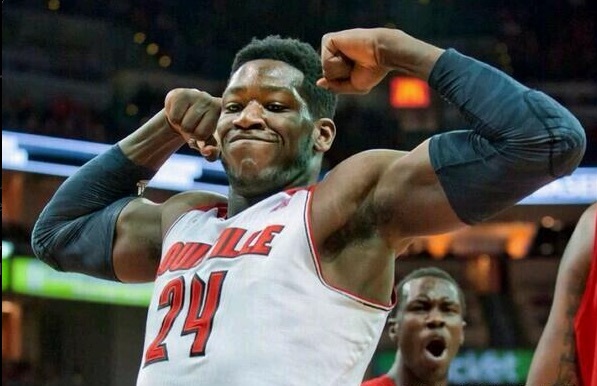 I look for Terry Rozier to break out of a recent shooting slump to have a big night and I fully expect Montrezl Harrell to be, well Montrezl. My novice predictions tonight: the Cards will rise up and finally play well on their home floor. The lids on the Yum! Center rims will seem wider than normal. And, the game will come down to a crucial possession or two. Oh and als0 look for ND coach Mike Brey to coach his one millionth straight game without wearing a necktie – a sports event record currently held by the legendary Tom Jurich. For those traveling this evening be safe and smart. For those in the Yum! Center, please scream your arse off. I will be viewing from my living room where the line to the men’s restroom and the price of a beverage are very hard to beat.